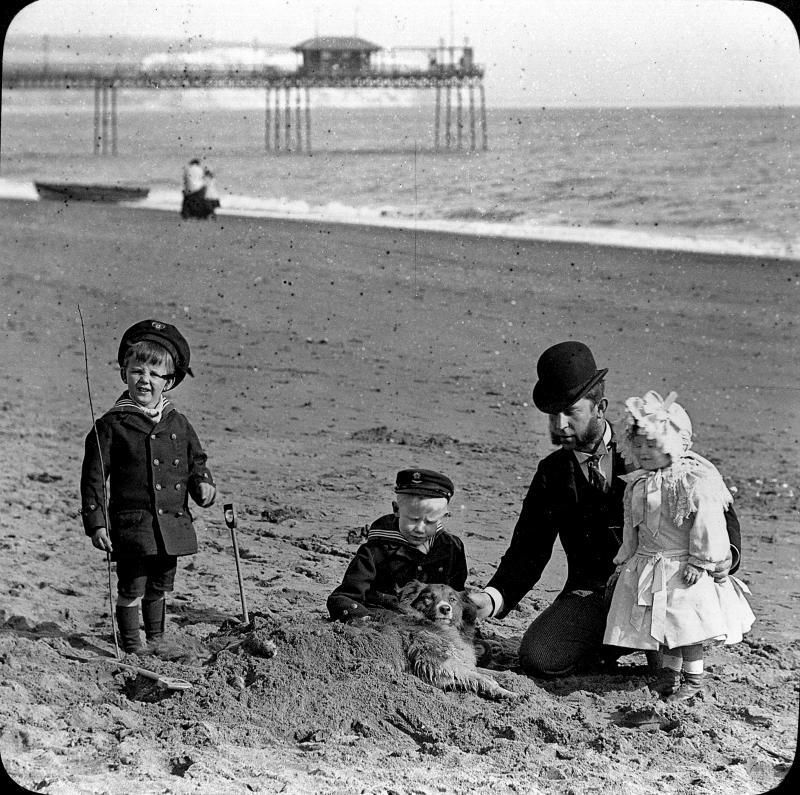 the official website for art and history publications by Professor Robin McInnes OBE FRSA (please note - for technical publications visit www.coastalandgeotechnicalservices.com). This website provides details of the fifteen books by Robin McInnes together with limited edition prints and old photographs of the Isle of Wight; all items are available for purchase. However, this does not include reproduction rights for use in books or other publications, which are available for a modest charge. Some of the books were published as limited editions of between 495-750 copies and are very scarce. From time to time these become available so please enquire as to availability by email at rgmcinnes@btinternet.com. If we do not have a copy in stock we may be able to assist by helping you find a copy elsewhere. The two most recent publications by Dr McInnes ‘Romantic and picturesque scenery of the Isle of Wight’ (2009), and ‘Landscape paintings of the Isle of Wight’ (2010) are both available. 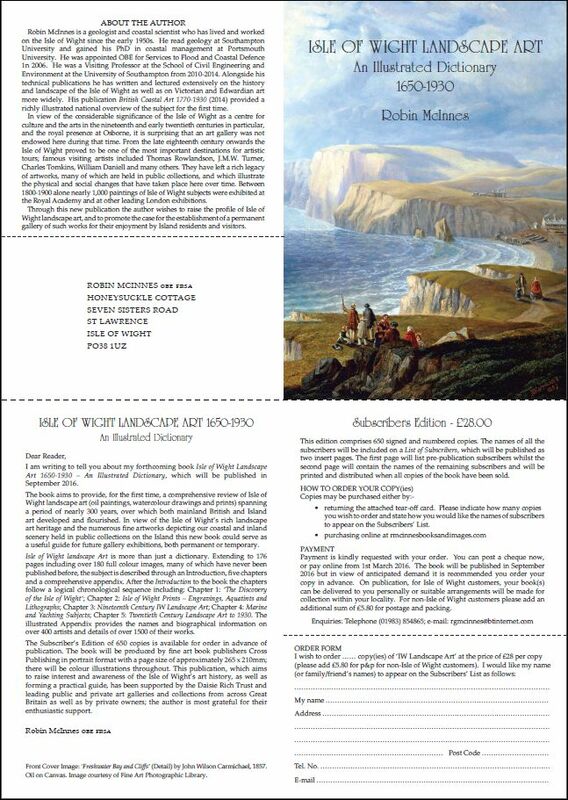 Displayed below is the flier and order form for the new book on Isle of Wight Lansdscape Art by Robin McInnes. For further information please contact Robin McInnes on rgmcinnes@btinternet.com, or to purchase this book, please click here.